Peapod identified the “just in time” meals segment as an undeserved market to busy, two-income families. They asked Ideation Studio to create a small, shopping-friendly fresh market to showcase their prepared meals (ready to heat and ready to eat) for busy commuters who want a prepared meal that is high in quality and nutrition. 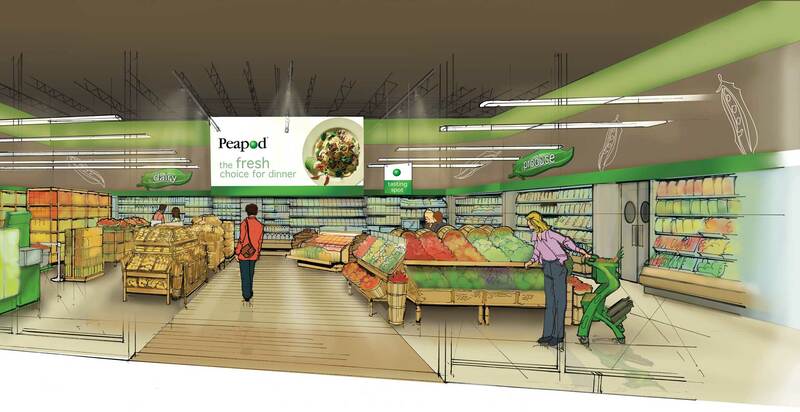 To complement this offer, Peapod included fresh fruit and vegetables and other fill-in items on the consumers shopping list. 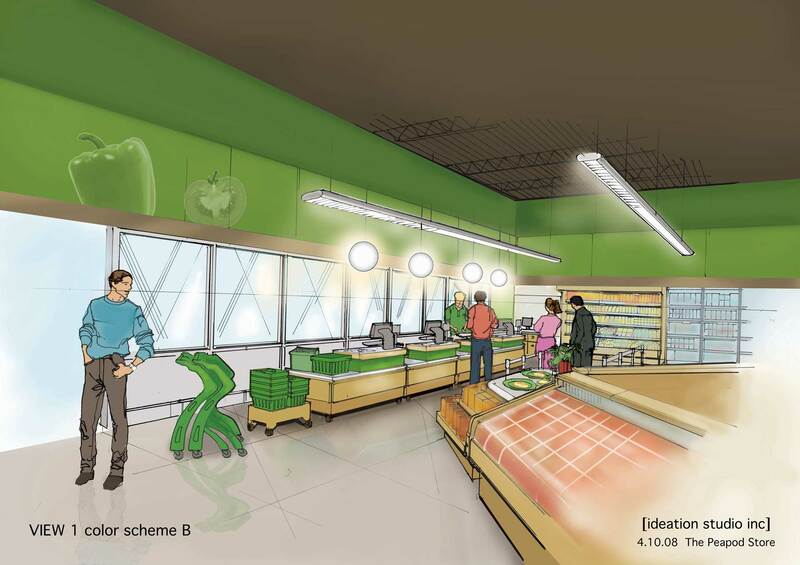 The environment was branded in a green feature color representing a warm and comfortable atmosphere presenting freshness and value to the consumer. Murals of produce silhouettes are subtly woven into the wall fascia to make a distinctive backdrop for the food offer. A wood-textured floor and wood fixtures completed the welcoming interior image. All self-serve checkouts took advantage of the latest technology to make the shopping trip a quick and satisfying experience.